Race fans will flock to the Fairgrounds this weekend for Louisiana Champions Day on Saturday, December 8th. With 11 stakes races for Louisiana-bred Thoroughbreds and Quarter Horses, worth a total of $1.05 million in purse money. Each race is worth $100,000 except for the premier race of the day, the Louisiana Champions Day Classic worth $150,000. The Classic will feature a field of seven, which includes last year’s Classic runner-up, Grande Basin. Grande Basin is trained by Eddie Johnston and owned by William Deckwa Jr. and John Carbo. The colt was a close second last year to Mobile Bay. In 44 starts, his only wins have been on the Fair Grounds main track with six trips to the winner’s circle. His most recent win was in the Star Guitar Stakes in April 2017, his only stakes win to date. For a refresher on betting horses, you can read our beginner’s guide here. The current favorite for the Classic is Underpressure, a two-time stakes winner trained by Chris Richard and owned by Mallory Greiner. The 4-year-old has won two allowance races at Canterbury Park, both races were over a mile. He has won the Louisiana Bred Premier Night Prince Stakes at Delta Downs in February 2017 and the Louisiana Legends Cheval Stakes at Evangeline Downs in July 2017. Last year, he came in third behind Mobile Bay and Grande Basin. Also running in the Classic is Autumn Warrior, a 3-year-old trained by Al Stall, Jr. and owned by Autumn Hill Farms Racing Stables. The highlights of his career so far include a 14-length win in his maiden victory at Louisiana Downs as well as the Lafayette Stakes at Evangeline Downs by 6 ¾ lengths. He won the Super Derby Prelude Stakes by a neck August 4th. Morning Mischief is a 4-year-old by Into Mischief and trained by Gary Scherer. The horse broke his maiden at Delta Downs November 2017 and has won two allowance races at the last Fair Grounds meet. Finally, we have Ready Prospector, Mageez and Zenucci to round out the field. The Classic is race 9 on the 13-race card program. Post time is 4:22 pm CT.
#5 – Second Down Leaving has finished in-the-money (ITM) in 11 of 12 career starts. Unlike many other horses in the field, he consistently runs similar speed figures. #1 – The Cazador benefits from the rail as many quarter horse races can be lost at the break with all the bumping. 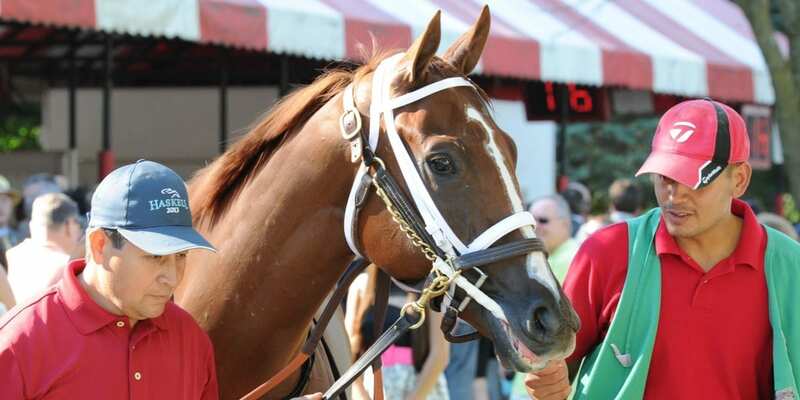 The colt is making his second start after a layoff and should be sharper in round two. #10 – Little Debbie D tends to gain ground the longer the race goes. This is her first crack at 400 yards and the extra distance should help. #12 – A Nother Zoobilee benefits from the outside post, meaning he can avoid early traffic at the start. He’s been close in his two Fair Grounds starts. #6 – Secrets Doubleshot has won three in a row. She is making her third start off the bench and could be even better; although, her last two were good enough and showed race-over-race improvement. #7 – Fastdashing Lassie is running for the third time off the self. She’s finished ITM in her last two 400-yard races. #8 – Jls Dash n Fire has been well bet in most of his eight career starts and finished ITM in his two FG races, finishing second by a neck and third by 1 ½ lengths. Early Race Outlook: Quarter Horses are unpredictable out of the gate as they don’t have traditional, thoroughbred running styles. It’s run as fast as you can from gate-to-wire. That being said, THE CAZADOR, JESS LOUISIANA BOO, and A NOTHER ZOOBILEE have the most consistent history of breaking sharply when the gates open. The Play: SECOND DOWM LEAVING has finished first (1x) or second (2x) in his three runs at Fair Grounds. THE CAZADOR scored the W in his previous second start after a layoff. LITTLE DEBBIE D has finished in-the-money in four of five this year. The lone miss was on a sloppy track. A NOTHER ZOOBILEE shaved more than 0.20 seconds off his final time in his last race, which can be an indication of a horse hitting peak form. Get the rest of the guide at Guaranteed Tip Sheet or the day’s free WIN picks right here at Predict’Em on Saturday.